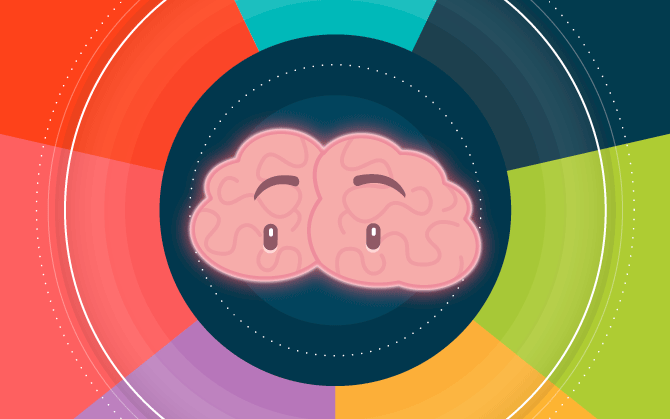 Scientists have been studying the effect that colors have on our brain for some time now. With their research, they found that each human being reacts in a way when exposed to a certain hue. In fact, nowadays there are tests developed to help us acquire knowledge about ourselves through the power of a color, which is explained by color psychology. In view of this, businesses have increasingly been using this element to attract customers and also to highlight the unique quality of their brands. In this article, we’ll show you how this area of psychology has influenced the market. Check out the theories and curiosities about the subject below! After all, what is color psychology? The earliest studies on color psychology date back to 1666. Isaac Newton discovered that when white light passed through a prism it was divided into several colors. After a while, it was observed that the mixture of certain colors resulted in other hues. However, in 1810 Johann Wolfgang von Goethe published his book, The Theory of Colors, in which he showed his studies on how colors are constituted and their effects on human beings. The German scholar was the first to confront Newton’s ideas. For Goethe, the sensations created by colors in our mind are molded by our perception. In other words, our vision and also our brain processing such information make feelings surface when we see a certain hue. Therefore, we can define color psychology as a study about the brain’s identification with existing colors, transforming them into sensations and/or emotions. And this is why each hue has a meaning, due to its weight, dimension, temperature, symbolism (which may vary from one group to another), emotion and memory. What is the meaning of colors in psychology? In color psychology, eight types of primary emotions are recognized, which are: acceptance, joy, curiosity, fear, disgust, anger, surprise and sadness. Such sensations influence people’s behavior according to psychology. Check out below the main colors and their meanings! Red evokes dynamism, i.e., movement and action. This color can stimulate the human body, transmitting high intensity to it and the sensation of confidence. The main emotions linked to it are anger, passion, danger, and excitement. Yellow is the color of optimism and joy. It has the power of stimulating human intelligence and also concentration. It’s not by accident that it’s linked to idealism and wisdom, but also to envy. On the other hand, blue is linked to calm and serenity. This is because the color conveys feelings of peace and tranquility to those who see it. But the hue also evokes conservatism and coldness. Symbol of hope and fertility, green is a color that evokes a sense of vitality and also calm, soothing the person. This color is also associated with youth, pride, and perseverance. One of the base colors is white. It’s linked to a sensation of cleanliness and purity, and not coincidently, it also evokes protection and simplicity. In Western cultures, it’s linked to weddings and new beginnings, while in Eastern cultures it’s linked to death. Black also has a strong symbology. Despite being associated with pain and sadness, it is also seen as the color of power, mystery, sophistication, and depth. What is the importance of color psychology in a brand? The chosen color palette says a lot about a brand. Therefore, you need to check if your business is conveying the right message. That’s why an understanding of color psychology is so valuable! Check out below a few important aspects about this issue. First of all, one must understand color psychology, where the comprehension of its meanings is crucial for the choice. However, it’s also necessary to know the market trends. The option based on this last aspect will make your presentation to the market be seen as something modern and up-to-date. A study conducted by Quick Sprout showed that 85% of consumers indicated the color as the main reason for buying a product. The same survey pointed out that 90% of purchasing decisions are made based on visual aspects. Therefore, the business should be concerned with understanding the preferences of its consumer audience regarding colors, in order to offer the right stimulus when they are deciding about the purchase. Colors also evoke the status of a brand. Therefore, you need to delimit the type of image you wish to convey to your consumer. The Chanel brand, for example, has a logo that mixes black and white colors. As we’ve already mentioned, the first hue evokes elegance and sophistication, which the second hue evokes simplicity, in the case of the brand: minimalism. The correct combination of colors also has the ability to increase consumer trust. By recognizing a brand for its visual appeal, they can recall feelings linked to the hues displayed, creating a sensation of credibility. Again according to Quick Sprout’s study, 80% of those interviewed, claimed that colors enhance brand recognition. Although color psychology has a strong value on sensations linked to a brand, it is necessary to clarify a few misconceptions about it. Personal preferences, experiences, as well as one’s educational background, and even one’s cultural beliefs can change the effect that certain colors have on us. Therefore, the idea that one hue is linked to a very specific emotion is not a certainty. The business needs to find ways to make a decision regarding this type of information, but not take it literally, as many do. How do I know which colors are best for my project? A few overall conclusions can be extracted from color psychology regarding the best hues for a project. For example, if you’re going to promote a product, the use of red in your advertising pieces on social media can attract people’s attention. After all, the color creates a sense of urgency. In another case, if you were going to create a video targeted to women, evoking a romantic theme, pink would be more suitable. Now, if the product is linked to beauty and well-being, purple gives a sensation of calm. It can be used on the packaging and also in the establishment’s own look. If the idea is to promote something exclusive, modern and sophisticated, black should be predominant as a whole, in addition to being linked to a look that is as minimalist as possible, using white and gray as one of the main contrasts. Therefore, it’s important to understand the purpose of your project. Whether it’s to increase sales volume or even to create brand awareness among the audience with buying potential. For this reason, it’s important to be always alert to the market’s demands and be faithful to your positioning. Color psychology explains why we love certain things or associate them to something bad. From the moment that Goethe published his studies, attention to this aspect became even more valued. As we’ve seen, each color has a symbology linked to it, and brands that know how to apply them well and in a strategic manner, have better chances of achieving their goals and evoking the desired sensations. So, did you enjoy our article? Now, how about sharing it on your social media? This way, more people can learn about the secrets behind the symbology of colors. See you next time!